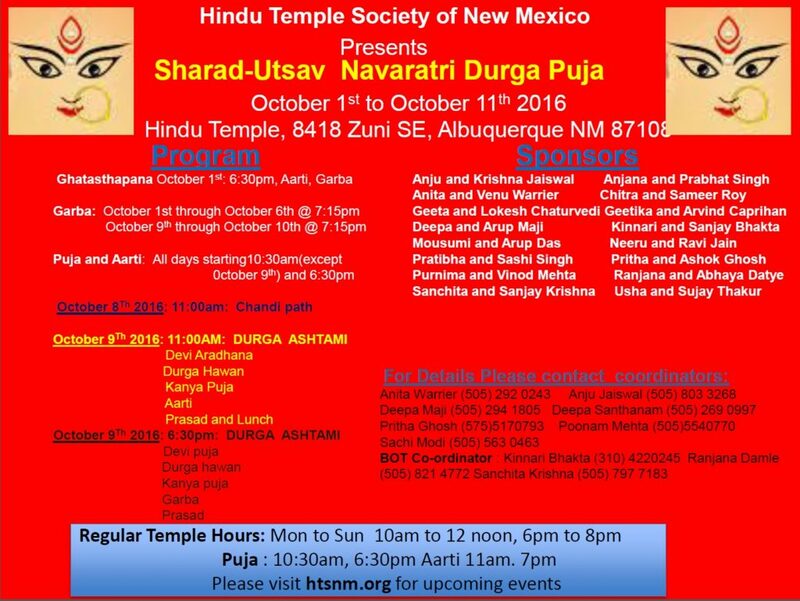 Hindu temple of New Mexico will celebrate Navratri and perform pooja for 10 days starting OCT 1 2016 through OCT 11 2016. Click for Navratri schedule. HTSNM also celebrates lot of events click here for upcoming event/pooja dates. If you would like to volunteer or sponsor please contact the coordinators or click here.